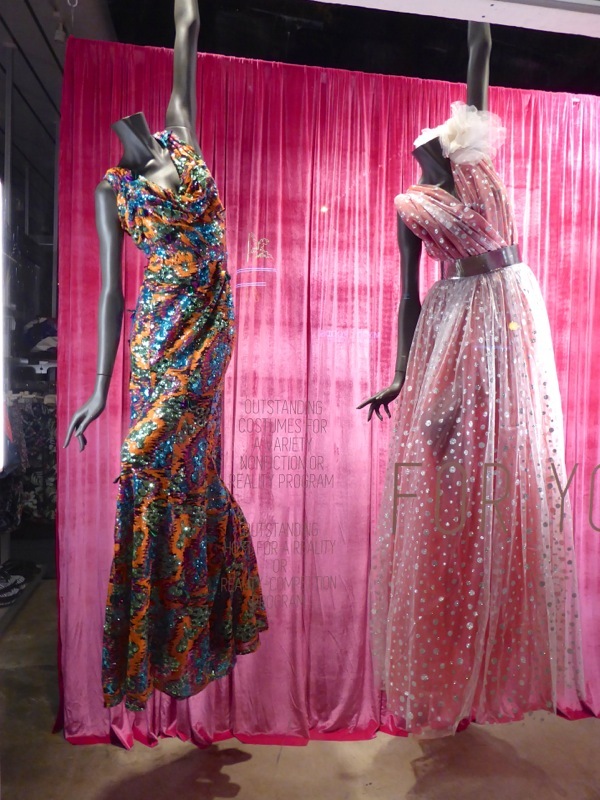 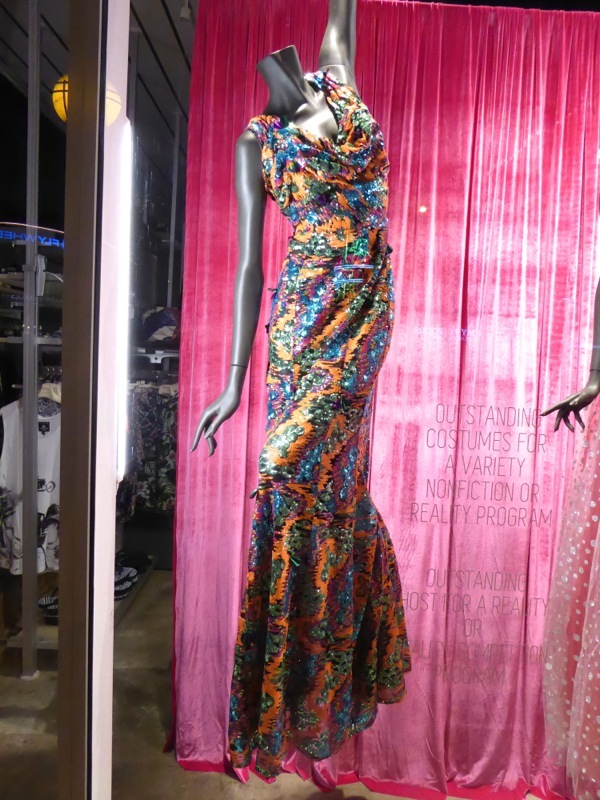 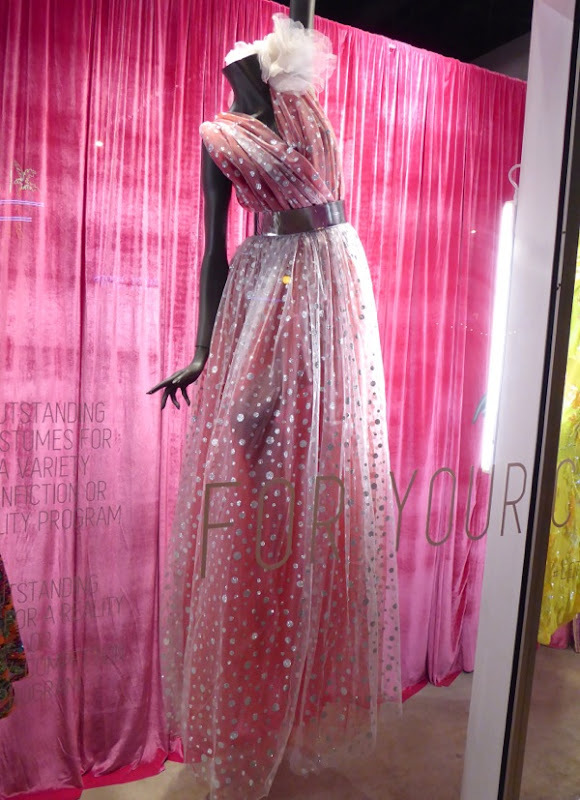 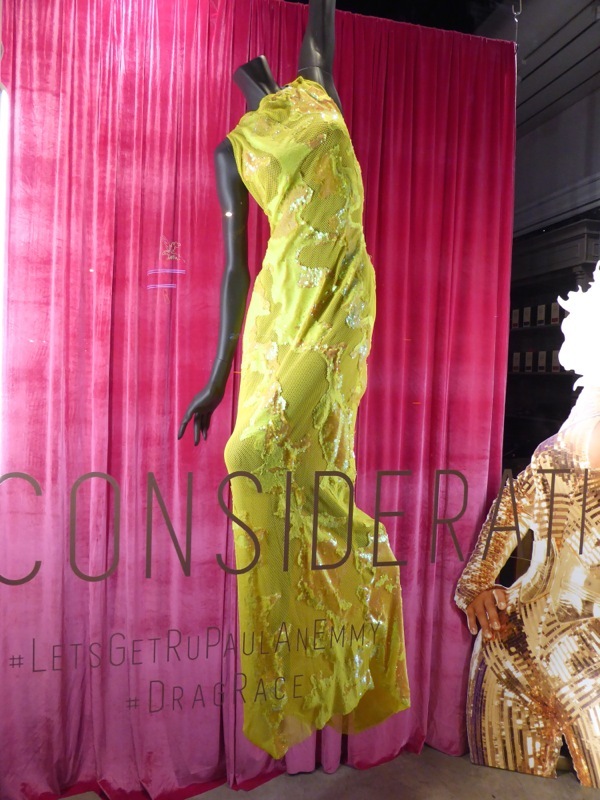 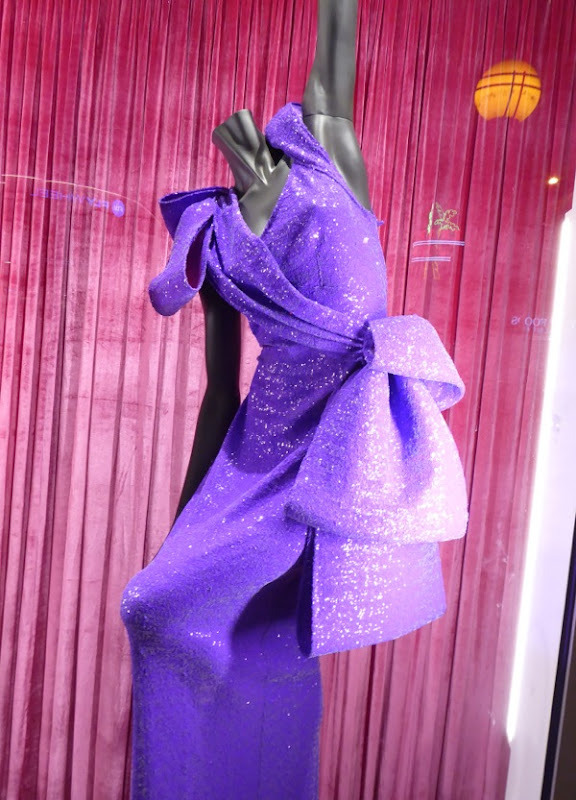 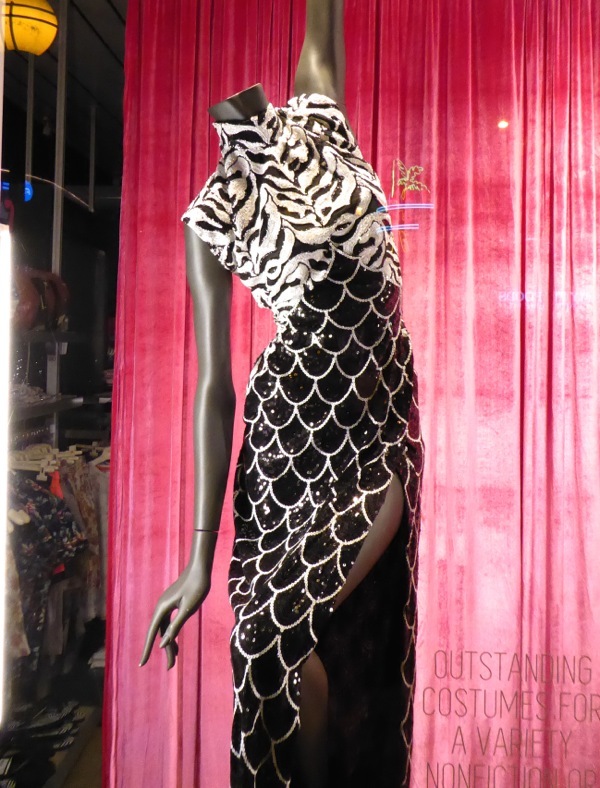 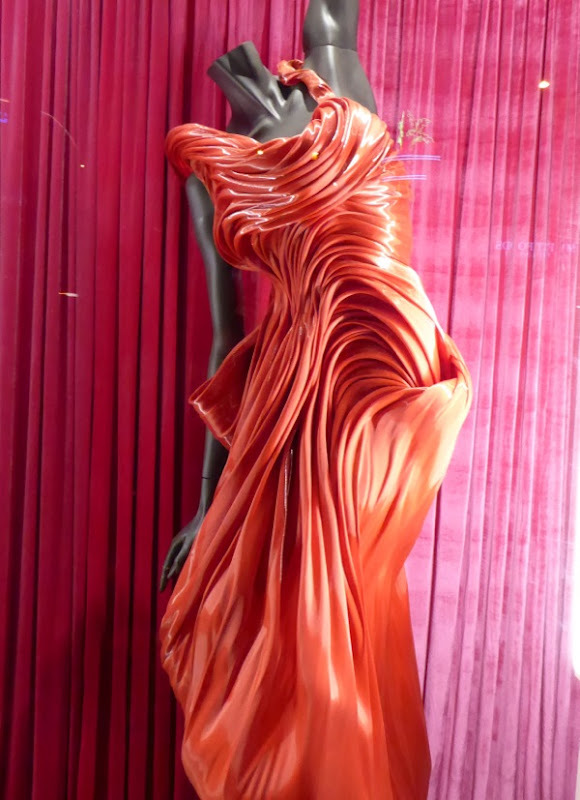 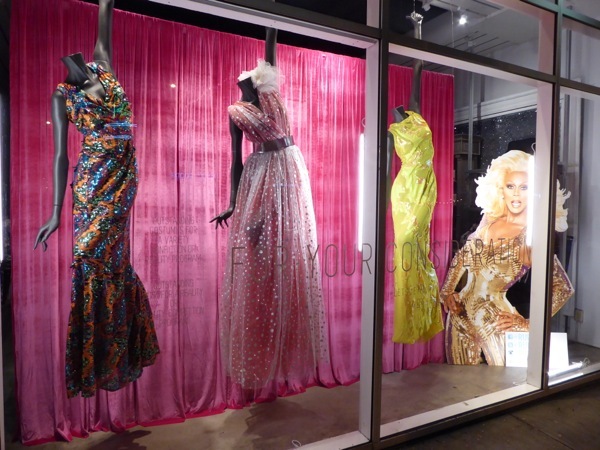 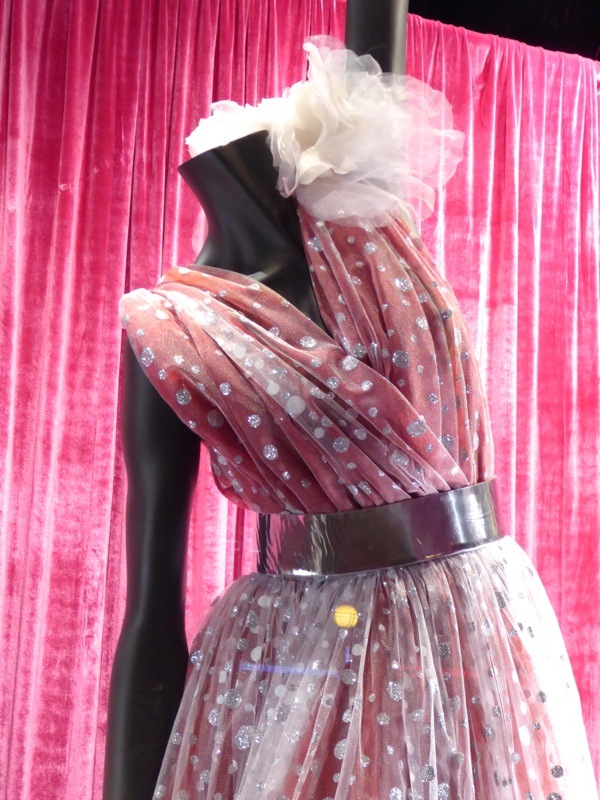 To celebrate the start of the second season of RuPaul's Drag Race All Stars and garner votes for the Emmy-nominated costumes from the reality drag queen competition, LASC men's clothing store in West Hollywood currently has a fabulous display of the Glamazon's show-stopping gowns on display in its windows. 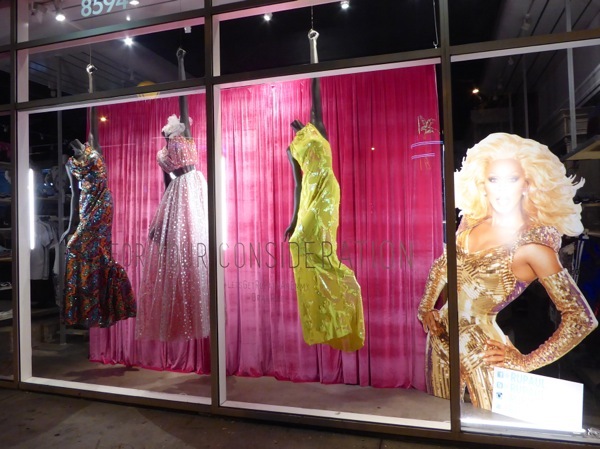 This year for the first time the iconic drag queen RuPaul is nominated for an Emmy award for Outstanding Host for a Reality or Reality-Competition Program for the show's seventh season, whilst Zaldy Goco is nominated for Outstanding Costume Design for RuPaul's gowns. 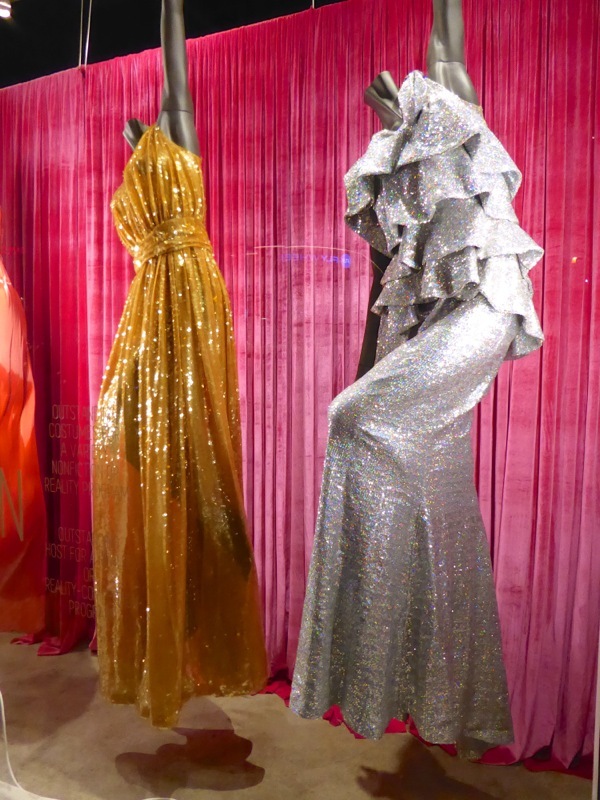 Here's a closer look at some of the spectacular gowns that Mamu Ru wears when she judges the contestants on the catwalk towards the finale of each episode. 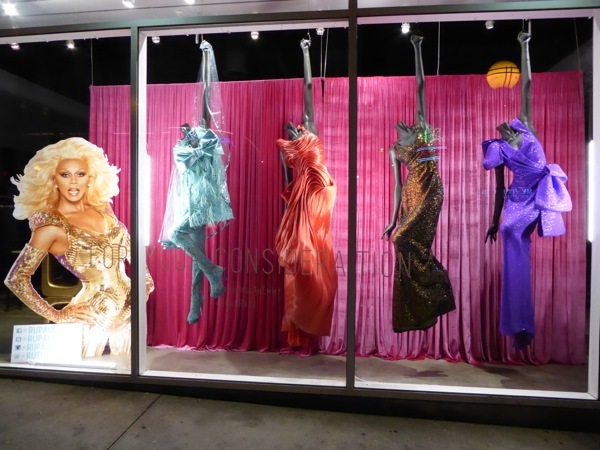 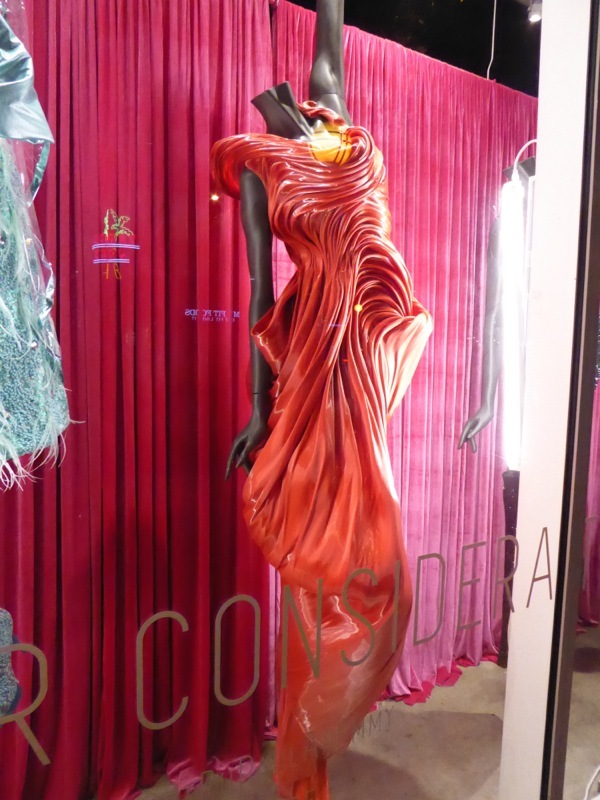 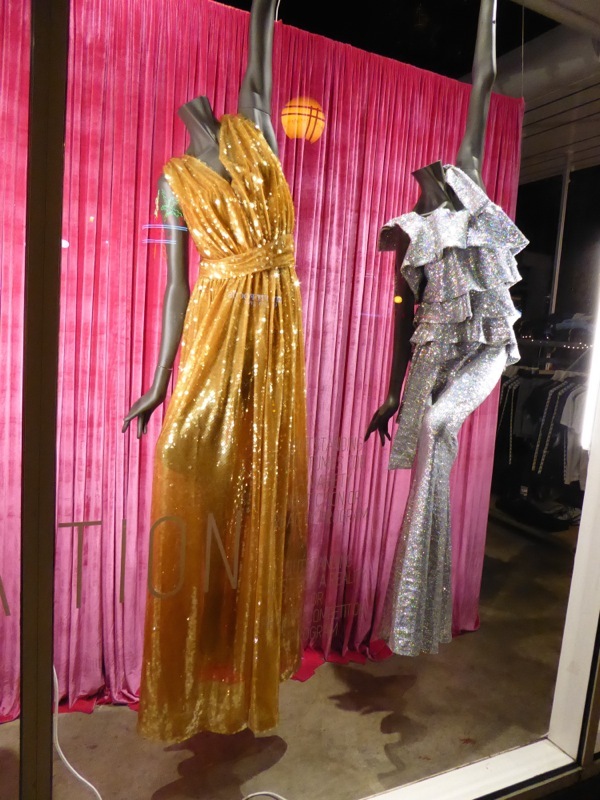 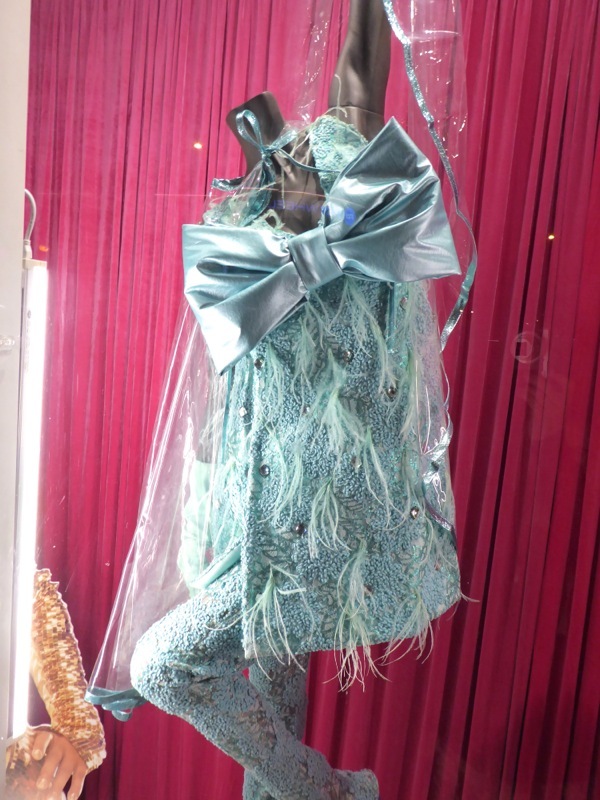 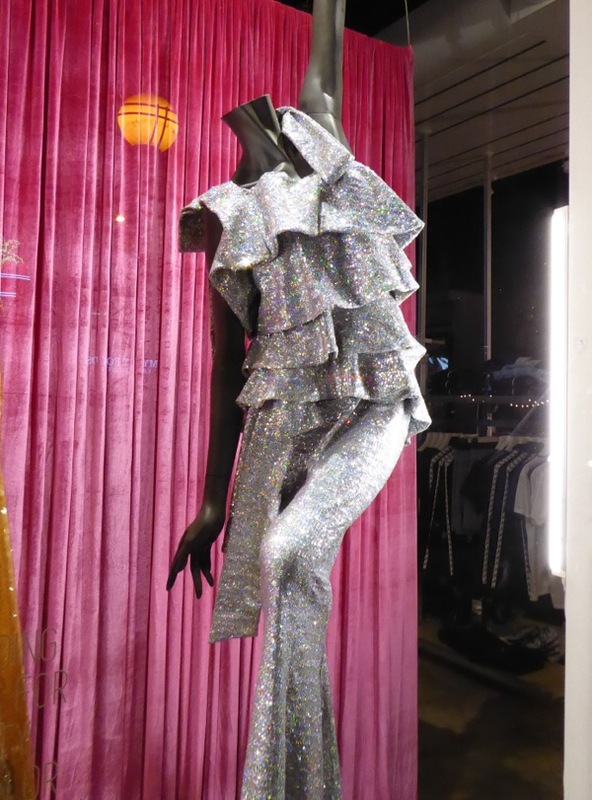 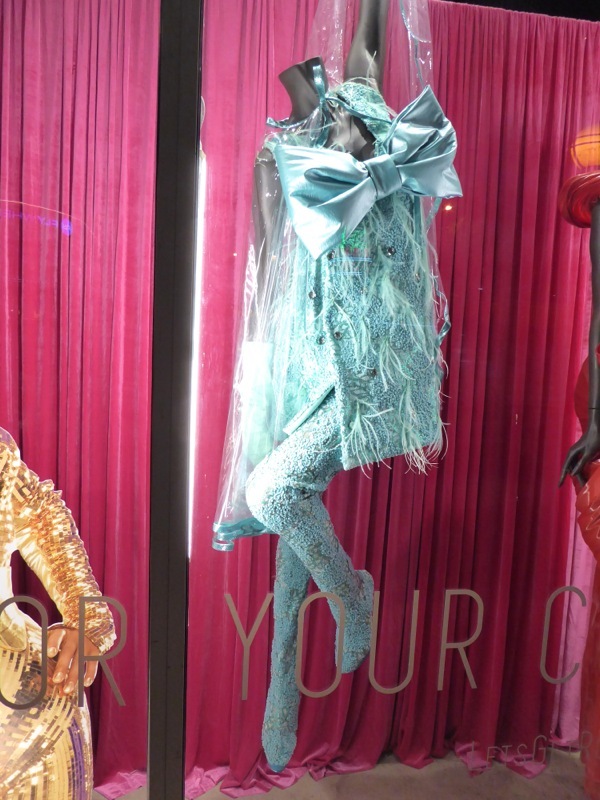 This glamorous drag gown window installation along Santa Monica Boulevard was created by ChadMichael Morrisette (of Oh Mannequin) and Mito Aviles, and you can often see their work in the skies of West Hollywood in these head-turning rooftop mannequin displays along Fountain Avenue. 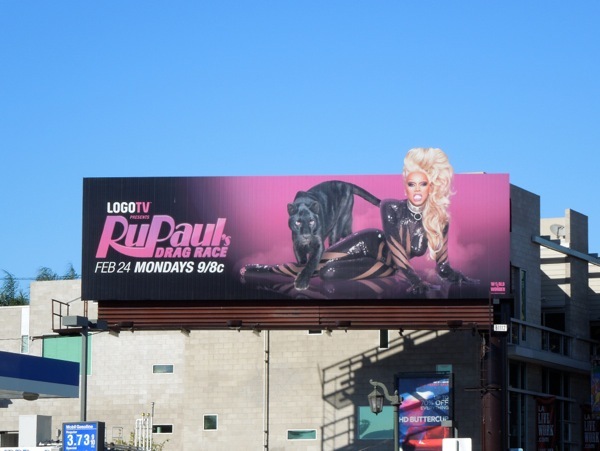 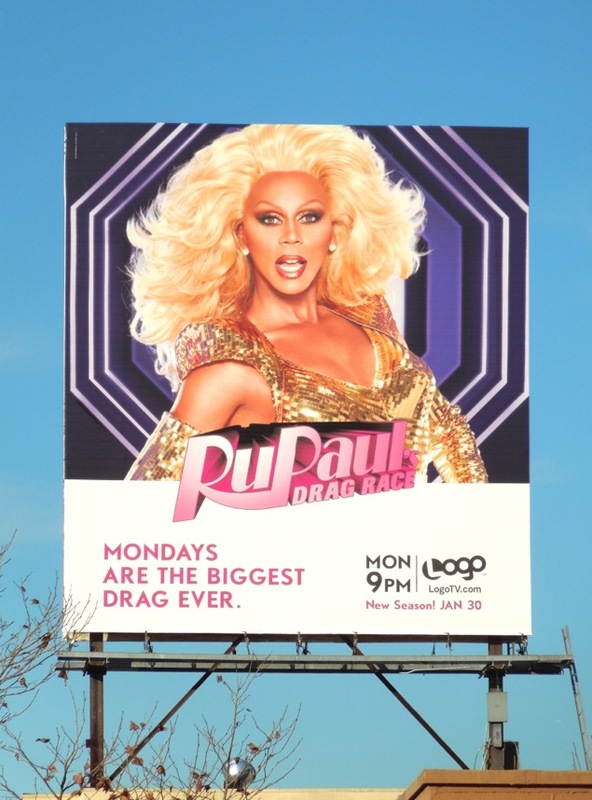 Now start your engines and get ready for the latest season of RuPaul's Drag Race (and keep everything crossed, and tucked, for an Emmy win or two this September). 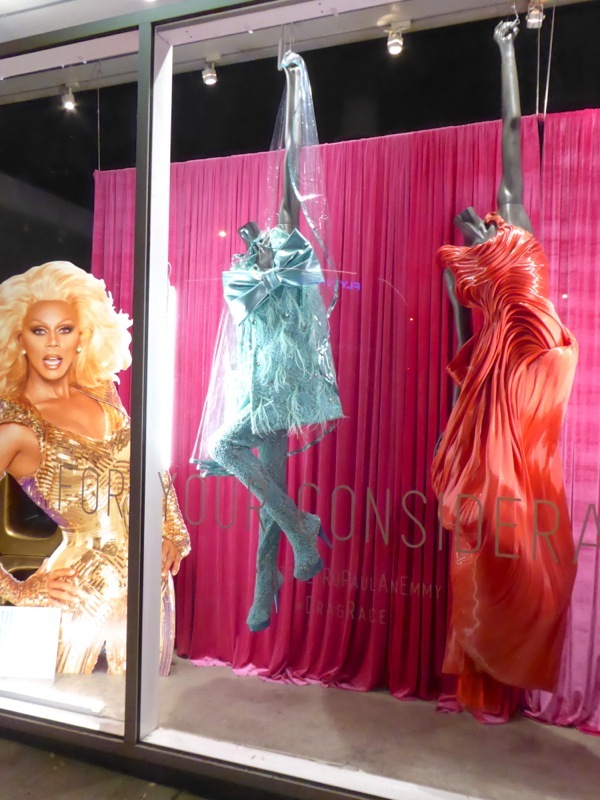 UPDATED: Very cleverly they seem to rotate the costumes on display in these windows to keep the installation fresh and show off the variety of RuPaul's outfits. 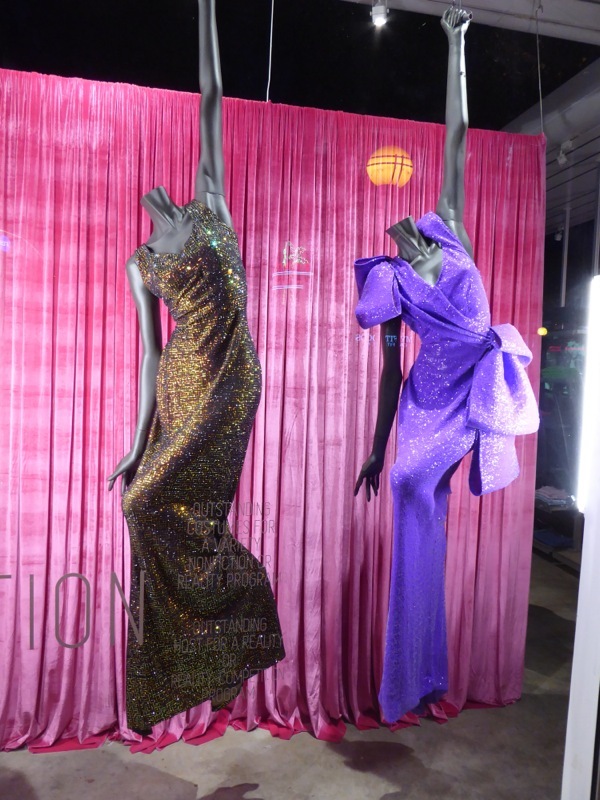 Here's three more Zaldy-designed looks snapped on August 29, 2016, enjoy all the eleganza.